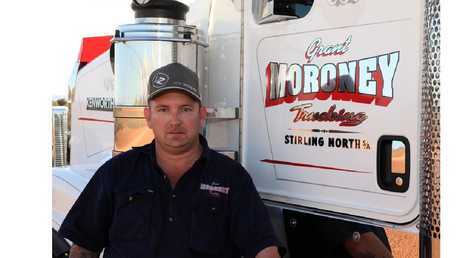 Grant Moroney, of Grant Moroney Trucking, filmed himself making a series of racist claims alongside the corflute of Sunny Singh - an Indian immigrant and transport manager who is standing to become a councillor in Port Augusta. 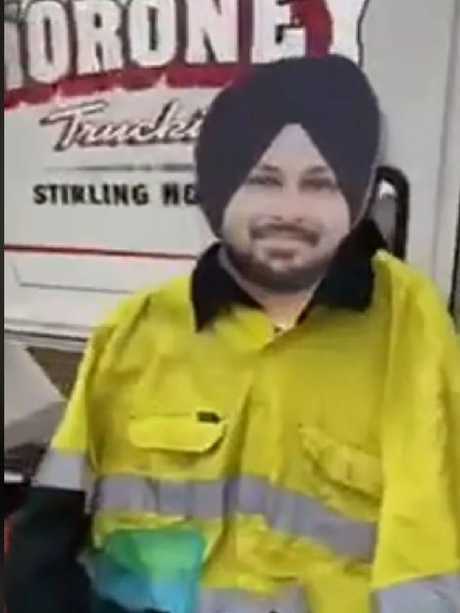 The video begins with Mr Moroney showing off Mr Singh's personalised corflute and dressing the likeness in hi-vis workwear to accompany him in his road train. The video appears to have been filmed by Mr Moroney while he was driving the vehicle - SA Police have been made aware and are investigating. The corflute of Sunny Singh featured in the racist video. "Everyone, I'd like you to meet Sundrop Zahid Khawaja, please try to make him feel welcome. He hasn't been in the country long," Mr Moroney begins. "He don't say much, I don't think he can say a word of English," he says. In the video, traditional Hindu music is playing through the truck's sound system, and Mr Moroney grabs the corflute and smashes it into the dashboard while repeatedly saying 'what have I f**king told you? Fit in or f**k off". He threatens Mr Singh's likeness by saying "you keep your f**king mouth shut and wipe that s**t-eating grin of your head while we're in here or you'll be back driving a taxi in Pooraka." "Smash an empty f**king *inaudible* clean across your wife's forehead." 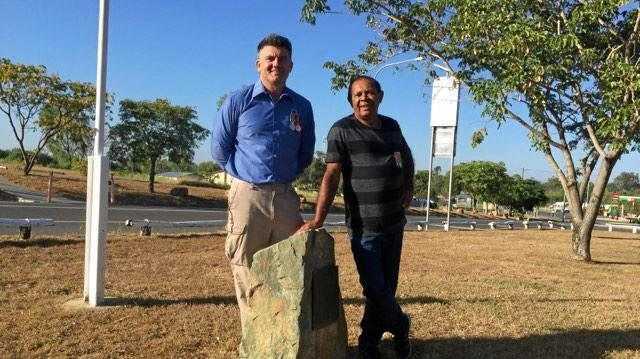 "I was prepared for this sort of stuff when I put my hand up (to run for Port Augusta councillor) - but not this," Mr Singh said, adding that he has never met Mr Moroney. "That (the video) was the first time I saw him." "The local community has been great. 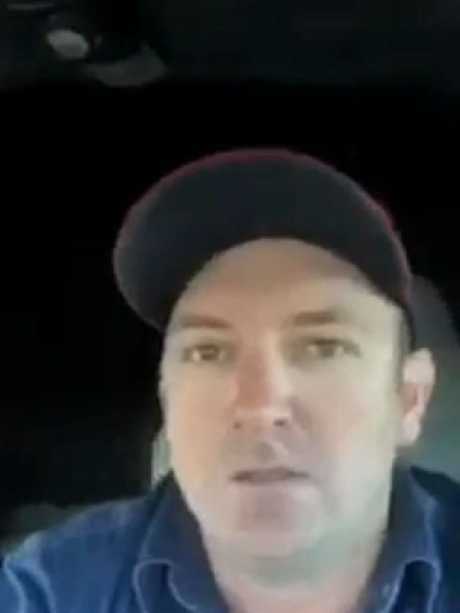 (Port Augusta Mayor) Sam Johnson rang me and put something on his Facebook regarding this video." "I don't have words on how to say thank you to them. They are supporting me a lot and sending me messages. "This one particular person, I don't wrong what's wrong with him. He must have had a bad experience with someone." "Sunny Singh and his family are hard working dedicated members of our community. Sunny is a man who rolled in to town just 10 years ago with one suitcase, and $3000," Mr Johnson wrote in a message on his Facebook page. "Now through hard work, he has built a successful business and become an admired and well respected member of our community. "To unfairly attack him in this manner, is uncalled for, unjust and totally unacceptable. Stay strong Sunny, the community will back you."